“Co-founded by a neuro-ophthalmologist and light-sensitivity researcher at the University of Utah, Axon Optics is at the forefront of using newly-discovered optics technology in the treatment of light sensitivity. With so many people in the world suffering from migraines and other issues caused by light sensitivity, the founders wanted to share this technology with the world. For this reason, proceeds from the sale of Axon Optics products go to furthering research into additional technologies and techniques to help light-sensitive conditions. I learned about Axon Optics during the Migraine World Summit in 2016. I ordered a pair, since light sensitivity is a huge issue for me. I wear these on super-bright days and always in airports and conference rooms with buzzy fluorescent lighting. They have helped me enormously. 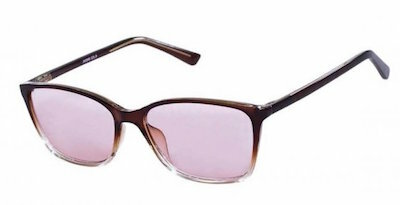 You can order these in a variety of frame styles, lens types (indoor/outdoor/progressive) and even with prescription lenses. These are not sunglasses, they block just the portion of the light spectrum that causes pain and light sensitivity. If you don’t have light sensitivity as part of your migraine pattern, it’s unlikely that these will help you with your attacks. Required FTC disclosure: The giveaway item was provided by Axon Optics. I was not paid to write this post.